Lock in a great price for Kriunes Hotel – rated 9 by recent guests! Staff very accommodating, early check in was great. Breakfast was good (but cost $15US). Hot tub was good but make sure you tell them you want to use it in advance. The hotel is nearby the lake with very beautiful view at the breakfast area. The staff offered a service to knock in the door when there’s Aurora, too bad we didn’t see it there. Staff was very friendly. Accommodation was great. Big room that was very clean and affordable. Hot tub was nice. Love the room and the breakfast. Everything was good! Hot tub was nice, room and toilet were very good. Bread at breakfast was fantastic, so was the pate. The peaceful location, away from the city. 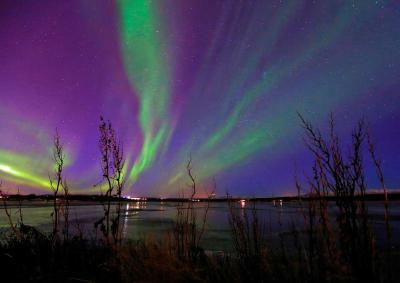 We were even treated to a spectacular display of the northern lights over the lake. Quiet, clean, comfortable, and relaxing. Beautiful view of the lake. Beautiful hotel and location! Owners and staff are wonderful made me feel like I was home. Food is excellent. 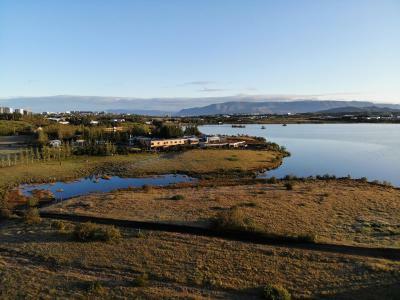 The property location is great if you want a beautiful view rather than to stay close to Reykjavik center. Staff was very kind and willing to help. The hot tub outside the hotel has a nice view and was very relaxing. Kriunes Hotel This rating is a reflection of how the property compares to the industry standard when it comes to price, facilities and services available. It's based on a self-evaluation by the property. Use this rating to help choose your stay! 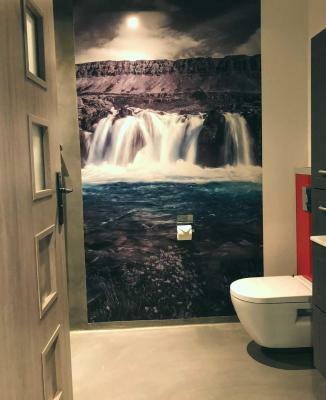 One of our best sellers in Reykjavík! 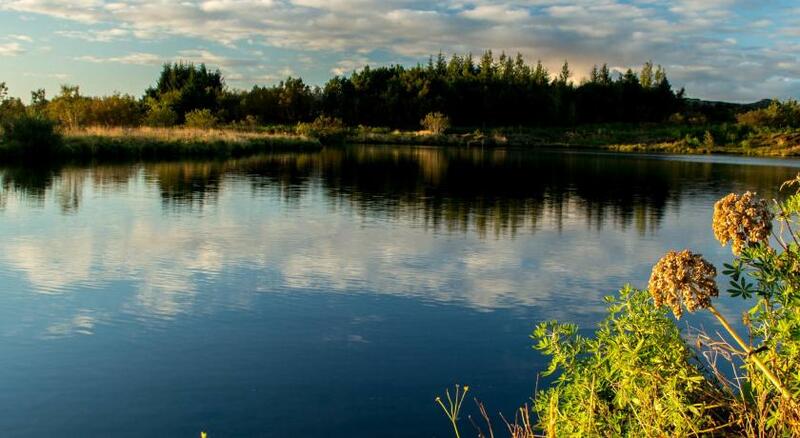 Overlooking Lake Ellidavatn, this hotel offers free parking, free Wi-Fi access and an in-house restaurant. All rooms have private bathrooms and flat-screen TVs. Central Reykjavik is 8.1 mi away. A work desk and wardrobe are featured in all rooms at Kriunes Hotel. Most rooms include a seating area. Some feature tea/coffee facilities and lake views. Relaxation options include a sauna and hot tub. Guests can unwind on the furnished terrace or in the fireplace lounge. Boat, kayak and bicycle rentals are available on site. Breakfast is served each morning at Hotel Kriunes. The in-house restaurant offers home-made dishes based in local produce. Heidmörk Natural Park is just across the lake from the hotel. Kopavogur/Gardabaer Golf Club is a 10-minute drive away. Kópavogur is a great choice for travelers interested in scenery, friendly locals and tranquillity. When would you like to stay at Kriunes Hotel? Individually decorated room with a flat-screen TV and desk. Featuring more space, this lake-view, individually decorated room includes a flat-screen TV and desk. Overlooking Lake Ellidavatn, this suite features a sitting area with a flat-screen TV, minibar and tea/coffee facilities. Some have a spa tub, and others have a fireplace. This spacious room features a seating area, flat-screen TV and tea/coffee facilities. This room includes carpet floors, a flat-screen TV and a spacious bathroom. This suite features a sofa, lake view and seating area. Hotel surroundings – This neighborhood is a great choice for travelers interested in scenery, friendly locals and tranquillity – Check location Great location - show map Guests loved walking around the neighborhood! House Rules Kriunes Hotel takes special requests – add in the next step! Kriunes Hotel accepts these cards and reserves the right to temporarily hold an amount prior to arrival. Please note that Kriunes Hotel is not staffed at all times. If you expect to arrive outside front desk hours, please inform the property in advance. The staff were wonderful. I felt very welcome and extremely comfortable. The best part of the hotel is the peaceful location, right on the lake. There are big, soft sofas in the common areas where you can drink a free coffee and read a book while looking out at the lake. Don't forget the sauna! Bit off beaten track but well signed so didn't get lost. The Setting just next to the lake is just marvellous. Such a Wonderful place just outside Reykjavik. And the breakfast was absolutely glorious! With a huge choice of Fresh, local products including Wonderful fish! Convenient location for starting a tour to any direction (a rented car is a must). Quiet area on the lake with view on the northern light if weather is clear and there is enough solar activity. Our room was spacious and clean, bathroom too, with good heating. Even if you don't take breakfast, free coffee and tea is available near the restaurant all day long. The sauna/hot tub area urgently needs updating! Hot tub is old and they fill it from a hose so when you're sitting inside the hot tub, you actually have to get out of it, go back to the building and turn the water to colder/hotter, depending on what you need. There were no dressing gowns or towels in the changing rooms. Loved the location, the room that we stayed in was perfect, with a view to the lake, it was really warm inside, we slept like babies as there were no noises outside! Breakfast was all right, the food that was there was really tasty, however, I would recommend having more variety. I made the mistake of viewing the hotel website and assumed that the menus on there would be available. The buffet spread provided, salad aside, was uninspiring and expensive. The bedding was not luxurious or comfortable. The duvet cover and pillow cases were crispy 'seersucker'. Through various emails to the hotel I had mentioned that the reason for our visit to Iceland was for a 'special' Birthday and there was no acknowledgment of this which was a bit disappointing, particularly given that my husband didn't even give me a card! Tea and coffee is complimentary throughout the day but take your own tea bags if you like English tea as there were none other than herbal or fruit provided after the first day. Our newly renovated room overlooking the lake was lovely. The lights appeared and all we had to do was put our shoes on and step outside the french doors! Perfect. Good to have a fridge in the room, great TV with Netflix access, good shower but no bath. Ample parking. Good wi-fi. Fabulous soup! Incredibly beautiful country and the hotel was perfectly positioned for exploring the south west. The food was very tasty and the staff were very helpful. Also saw Northern lights from the hotel. Took a bit long to wait to check in because only one staff available and the staff was chatting with other guests knowing we were waiting. In contrast to the rooms, the restaurant, lobby and bar are quite outdated. There are refurbishing works going on and you could hear quite a lot of noise. Ground floor rooms are not private at all. The outside space is not separated and people could walk just outside your window/patio door, having to keep your curtains closed at all times for some privacy, ruining the purpose of big windows facing the lake. No safe, empty minibar, no ventilation in the bathroom, WiFi typically bad for a hotel and you need a car if you stay there as the hotel is quite far from everything. Also quite unpleasant final of our stay when we were asked to pay the bill the night before we leave (if our flight is early) so we don’t wake up the staff! Very unprofessional! Kind reminder - it is your job! There are plenty other hotels more than happy to get up early to collect their money. The staff were helpful, most of them at least. The chef was amazing, cooking all delicious meals we've had. Quiet location by the lake, very pretty. Very clean, modern, big and extremely comfortable rooms. Wonderful view of the lake. Rooms very spacious and comfortable. Breakfast was great also. Lovely staff at Reception, helped us call a whale watching tour company to check their schedule. You also have a bit more chance to see the northern lights from a property around here rather than in the centre of Reykjavik. This was a 10 minute drive away from the city centre. Everything. The owner is fantastic and will tell you better than any application whether you will see the Northern lights or no. He has given us spots to view them since we could not see them during our stay because of low activity. You can see them from his hotel btw just outside .